For those of you who want to display its Android smartphone flavour of Windows Phone 7, there's nothing wrong if the taste of this exciting application. 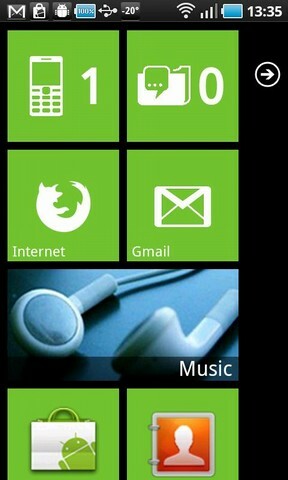 Application called Launcher 7, in addition to making your Android smartphone feel like Windows Phone is also easy to use. As quoted via pocketnow, said that the application is available in two versions, namely the free version with the advertisement (advertised) contained in the list of applications and versions of 'donate' ad minus in it. This application is also already available in the Android Market.